The Pacific Region is at risk of many hazards that can become disasters. 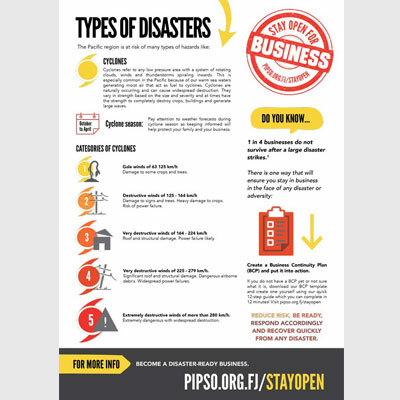 If you are prepared, this will help keep your business open after disaster strikes while also making sure your staff and their families are safe. 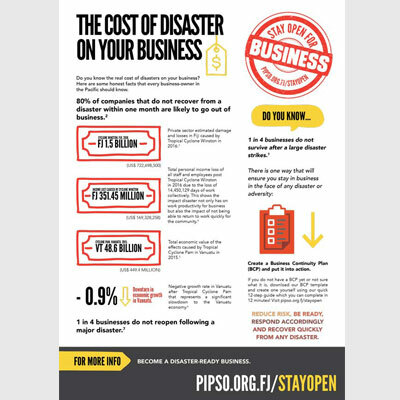 Do you know the real cost of disaster on your business? 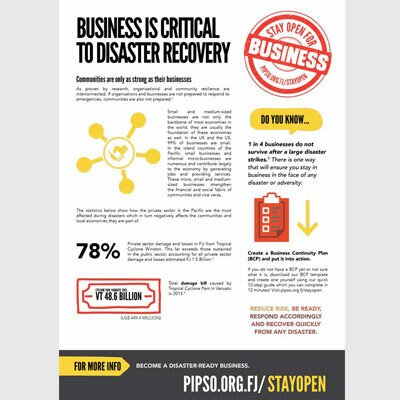 The harsh reality is 75% of companies without Business Continuity Plans fail within three years of a disaster. Disasters can strike at any time, and just when you think something will never happen to you, it does. 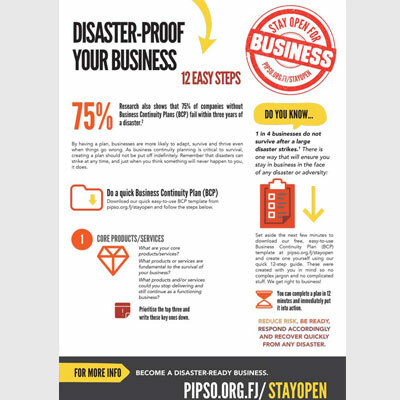 Disaster-proof your business with these 12 easy steps. 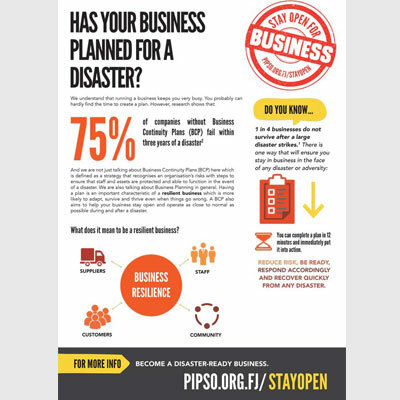 Download our free, easy-to-use Business Continuity Plan template at pipso.org.fj/stayopen and create one yourself using this quick 12-step guide. Businesses that are connected, informed and adaptable to change are the ones more likely to survive a disaster. Disaster is everyone’s business. 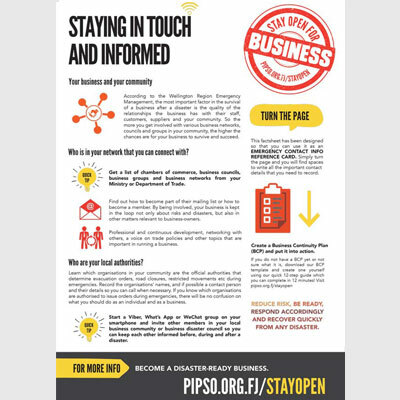 Businesses and governments can combine resources and expertise for the community’s rapid response to disaster recovery. 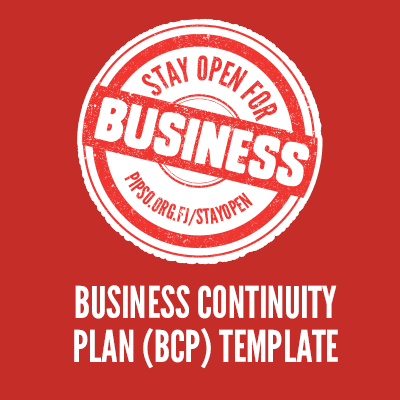 Download this free, easy-to-use Business Continuity Plan template and create one yourself using our quick 12-step guide. You can complete your plan in 12 minutes and immediately put it into action.